Marble It Up! is a unique marble-rolling puzzle platformer from Marble It Up. Roll, bounce, and boost your way from skillful start to frame-perfect finish. Chase the records of your friends and the world’s best players through intricate, beautiful, mind-bending levels. 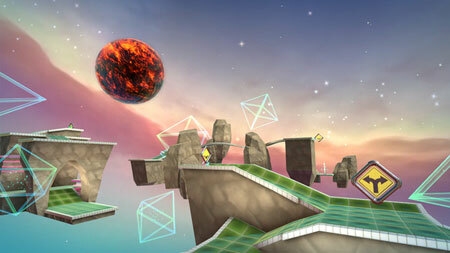 Roll, jump, and master the custom-built marble physics to make your way through dozens of breathtaking levels. Experience first-hand the simple joy of rolling while exploring a gloriously psychedelic world full of mind-bending levels and dynamic power-ups. The game features 40 visually striking maps. Unlock majestic marble skins. Test your skills and smarts in an incredibly varied set of kinetic platforming puzzles. If you get stuck in the game, check out the video walkthrough and gameplay for the game. This entry was posted in PC Games, Walkthrough and tagged Marble It Up! Cheats, Marble It Up! Game, Marble It Up! Gameplay, Marble It Up! Guide, Marble It Up! Hints, Marble It Up! Review, Marble It Up! Solutions, Marble It Up! Strategy, Marble It Up! Tips, Marble It Up! Walkthrough by Marvin. Bookmark the permalink.